Inspiring women from across Redcar and Cleveland were honoured at a special ceremony on International Women’s Day. 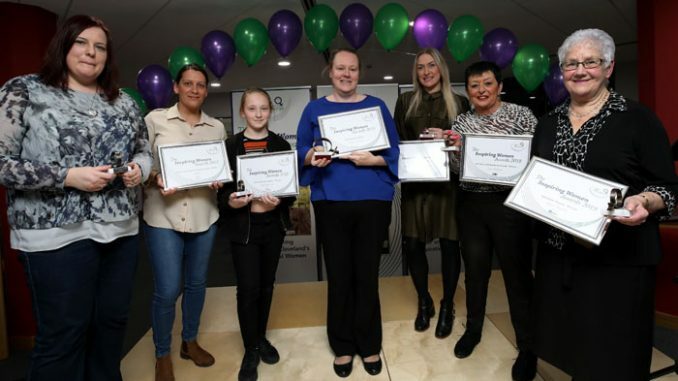 The event at the Wilton Centre in Redcar recognised seven women for outstanding achievement, including Carol Dawson, Eileen Founds, Victoria Smee, Krista Coulson, Liz Edwards, Mahlliah Joel and Gemma Sands. 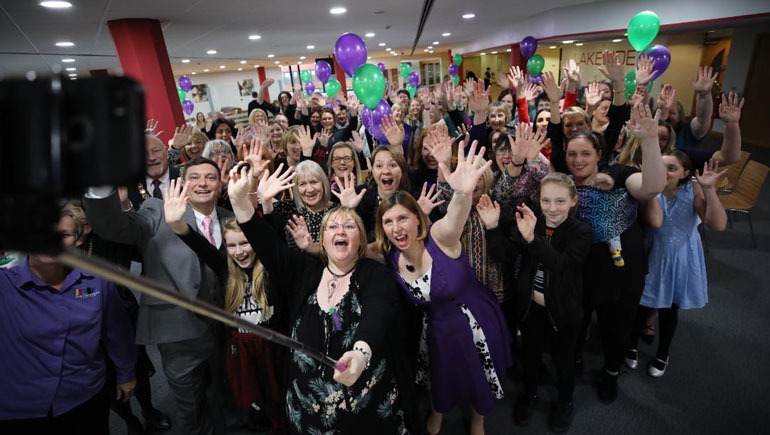 Redcar MP Anna Turley said: “Every year we have hosted these awards, we have heard more and more amazing stories from brilliant women and girls who are going the extra mile to support their communities, facing down a personal challenge, or changing the lives of others for the better. Councillor Sue Jeffrey, leader of Redcar and Cleveland Council, said: “I look forward to this event every year and it was so wonderful hearing all of the stories of these Inspiring Women. It’s fantastic to have such great women as role models and it makes me very proud to know that they part of our borough. • Gemma Sands who won the Inspiring Others Award, sponsored by Sembcorp. The overall winner of the Mo Mowlam Award was Gemma who established a charity, Remembering Rebecca, in memory of her daughter who died at the age of just 21 months. Gemma organises fundraising activities so that the charity can provide equipment, holidays and support for children with disabilities and their siblings. Winners from previous years have also been involved in this year’s ceremony, with the entertainment being provided by Joanna Andrews, 2018’s Women in Business award winner, and the catering being provided by Ruth Fox, 2016’s Innovation award winner.